We use CAD and computer controlled machines - in combination with centuries-old techniques. 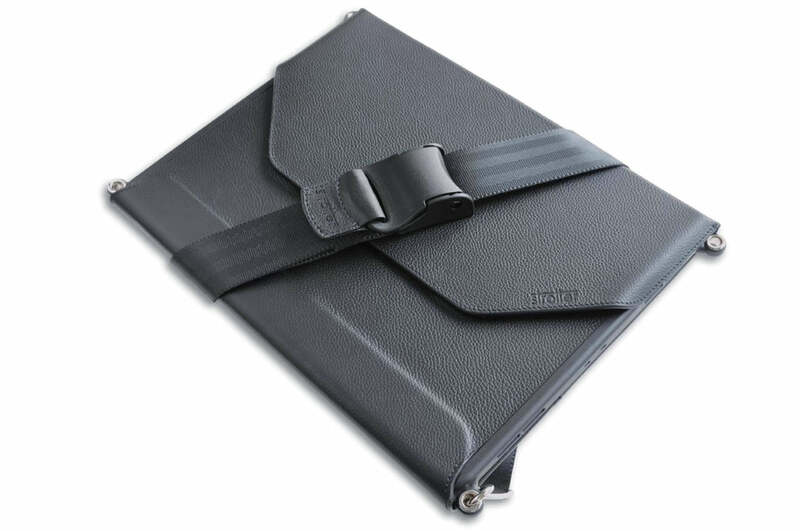 Strotter professional iPad case explained in a 45 sec video. Takes only a second to transition from working mode to carrying mode. Watch how the whole thing works. From workstation to shoulder bag to backpack.